Transitions involve stretching, openness, and change. 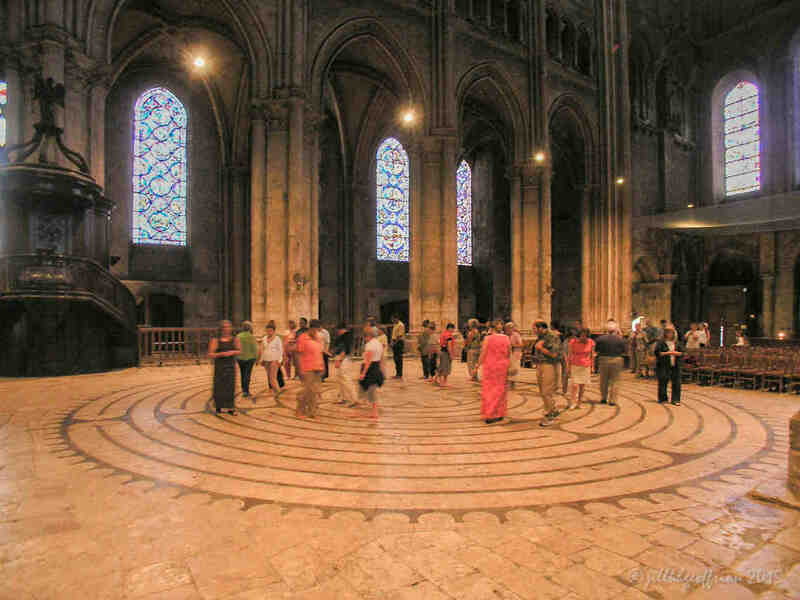 The practice of praying using a labyrinth has taught me a great deal about each. This image of Mary’s assumption into Heaven (a doctrine which as a Protestant seems very foreign) comforts me–the angels are there to help! Sustainer of all that continually changes, thank You for supporting me during the transitions I experience. What changes are you walking through today? Stand up, look the change in the face as Mary is doing, and hold your hands as you see her doing. What prayers are emerging in your heart, mind, body, and imagination? Pray them now. Mary’s assumption into Heaven. The Death and Glorification of Mary stained glass window at the Chartres Cathedral. This image is in center of the window, in the sixth medallion (third large circle) from the bottom. 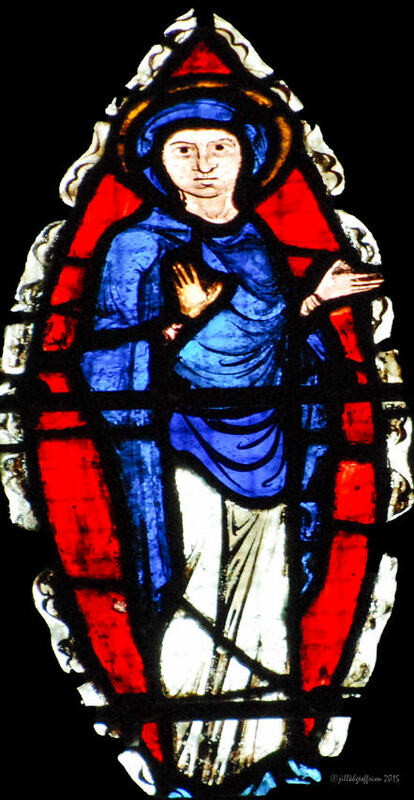 This thirteenth century window (1205-1215) is found in the south aisle of the Chartres Cathedral. It is the fourth window from the west wall, shown here on the far left of the photograph below.